Oh yeah. I knew the moment I saw this recipe from Mel’s Kitchen Cafe on Pinterest that it would be a hit at our house. However, I didn’t realize it would become a winter staple. Below my friends, is the BEST hot chocolate recipe ever. So creamy & rich. Seriously delicious. 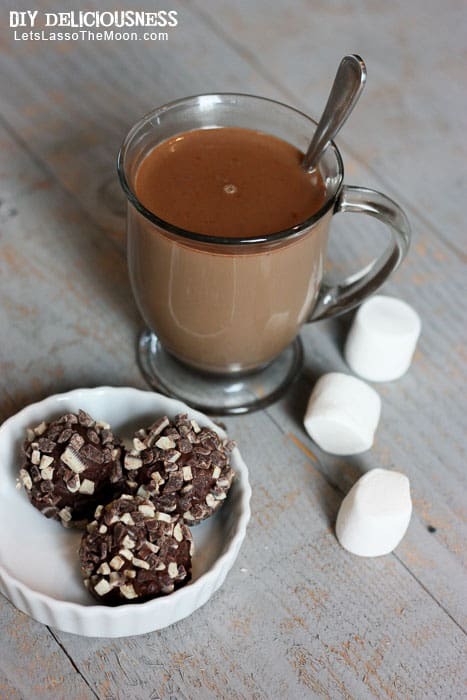 My girls love to have this homemade hot cocoa ganache straight-up in milk. 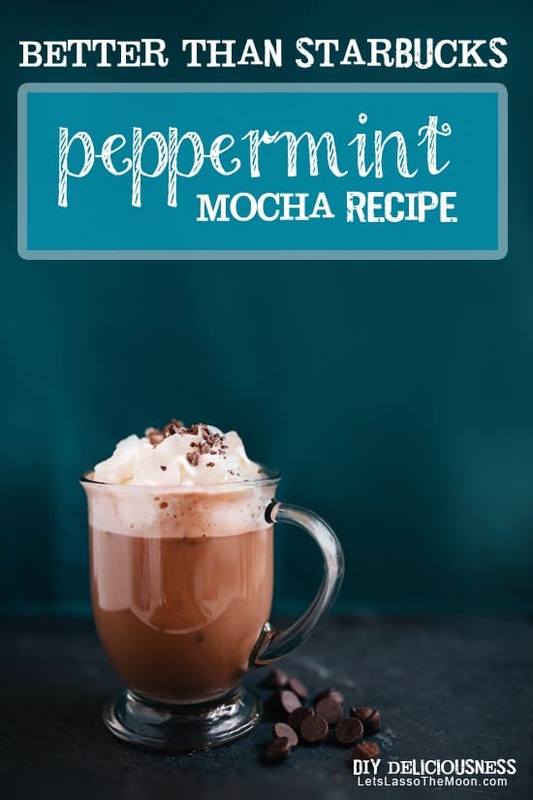 I, on the other hand, have become obsessed with using them to make a … wait for it … better-than-Starbucks Mint Mocha Coffee. 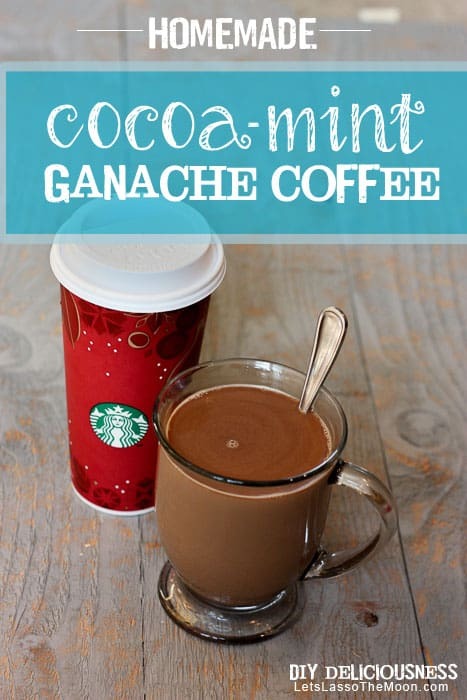 And oh how I do adore my Mint Mocha Coffees. The best part? 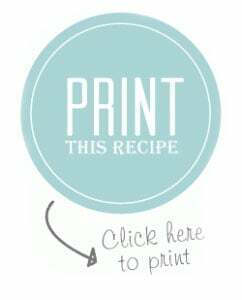 This recipe requires three simple steps! We always sample the chocolate chips and candies to make sure they “are not poisoned.” Huh? As a young girl my father would always snag the first sip of my chocolate milk and tell me he didn’t want to do it, but he had to make sure it wasn’t poisoned. If you are afraid of instilling a quirky fear in your child about poisoned food, feel free to check the chips to make sure they are “fresh” or “ripe” instead. 1. Combine 1 1/2 cup of Andes Candies Baking Chip along with all of the ingredients in a bowl. Melt the mixture in the microwave using one minute intervals. Here’s a little secret from Mel’s Kitchen Cafe: The trick is to stir often since the mixture will blend together even when it looks like the chocolate chips haven’t melted completely. 2. Refrigerator until the ganache mixture is firm and scoopable. This takes a few hours. 3. Take a small cookie scooper and plop a truffle into a bowl of Andes Baking Chips. Coat and firmly squeeze the candy chips into the ganache. 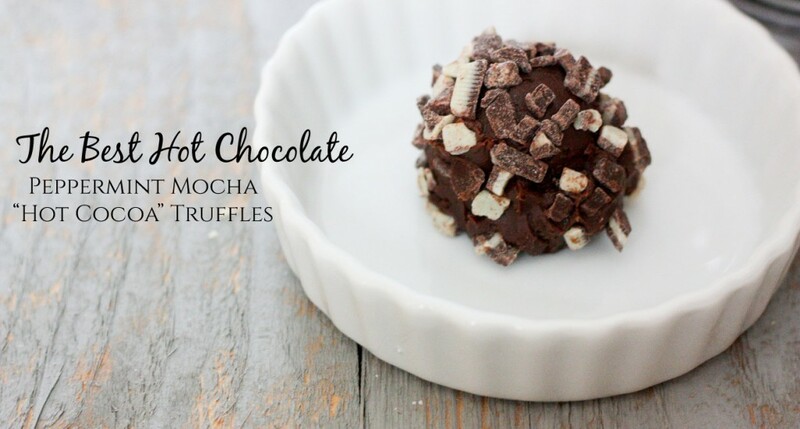 You can wrap the truffles individually with plastic wrap or store in a large Ziploc bag in the freezer! Recipe Source: My version of a recipe seen on Mel’s Kitchen Cafe. By the way, I adore her site. Be sure to pop over and look around at all the wonderful recipes she is sharing. 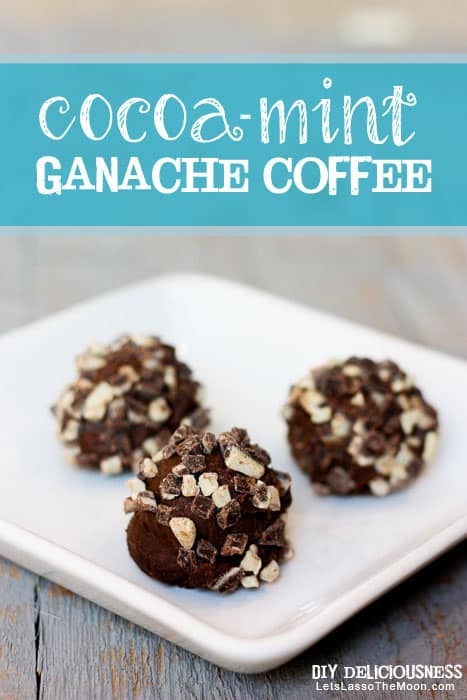 Drop one Cocoa-Mint Ganache Truffle into a mug of milk. Microwave for 1-2 minutes. Stir well. Enjoy! Drop one Cocoa-Mint Ganache into a tall coffee mug with 1/2 cup of milk. Microwave for 1 minutes. Fill the remainder of your mug with hot coffee. Stir well. YUM. That coffee looks SO good! I’m doing one of those family Christmas Eve boxes this year – you know, with the new pajamas for everyone, Christmas book, movie, special hot chocolate ingredients etc I think there will be some cocoa mint ganache in there as well!